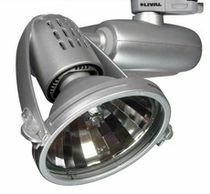 With bulbs of the evolution series are possible up to 122 lumens / watt light output. Thus this spotlight is still a low-cost alternative to LED with long-term proven technology. If you are looking for other emitters can get an overview in our online store you like. Looking large quantities? Call me to call or write me an email and I submit to you an individual offer.